EddieVsHeaven [Freeware], Software Distortion/Overdrive from AuraPlug. 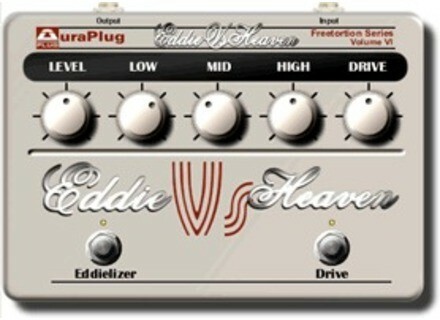 AuraPlug has announced the release of EddieVsHeaven, the latest addition to the "Freetortion" series of plug-ins for guitarists. Blastwave FX SDS Libraries Update True to their promise, Blastwave FX has released new additional sound effects to update the SDS libraries SONOPEDIA, The BLASTDRIVE, .wavFX and TITLEWAVE. Xhun Audio LittleOne Xhun Audio has announced LittleOne, a software emulation of a new classic: the Moog Little Phatty hardware analog synthesizer. Brainworx bx_control v2 Brainworx has announced that version 2.0 of bx_control is now available for Windows and Mac OS X in VST, AU, RTAS and TDM plug-in formats.